Expect more than just the door. LPD does so much more than just sell doors. We pride ourselves on designing, sourcing and manufacturing the very best in door design and materials, whether it be internal or external, bi-fold or French, timber or composite. 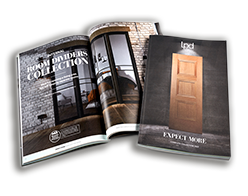 When you choose an LPD product, you are buying experience and attention to detail that only nearly forty years in the trade can bring. We hope that you enjoy browsing our new website, set out in an easy to follow format with plenty of new products as well as established favourites. Should you not find what you are looking for, or need any further information, do not hesitate to call us on 0113 271 5151. Some door designs simply stand the test of time, classics in their own right; others burst onto the scene and are immediate hits. Here are some of our best sellers. We sell all of our products through trusted stockists. To find one near you, please enter your address below. If you have a question about our products or services or would just prefer to speak to someone, please get in touch with us!